A few drugs, approved in 2015, displayed in MedChem Designer. The user interface includes pulldown menus, quick access icons, and controls for various sketching functions. Predicted properties that are available with the free version are shown at the bottom. 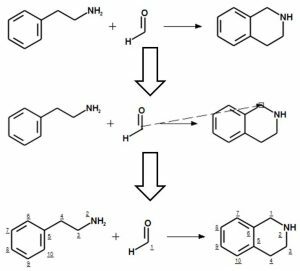 MedChem Designer 3.0 is a free chemical structure drawing program. MedChem Designer can open SMILES, SDF, MOL, CSK, and RXN file types. Up to 32 compounds can be displayed in one window. Images can be exported in SMILES, SD, MOL, CQF, bitmap, JPG, or PNG formats. Various properties e.g., logP, logD, topological polar surface area (TPSA), can be quickly and easily computed. 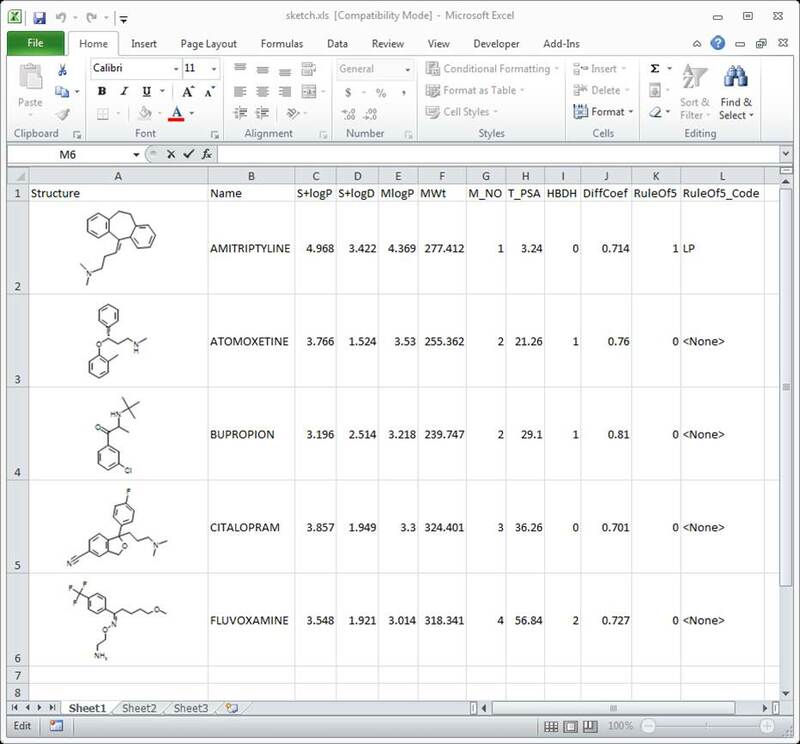 Additionally, structure images and predicted properties can be exported in Excel format. One can also copy a SMILES string e.g., from the Wikipedia page for aspirin, and paste it into MedChem Designer. Reactions can be sketched and converted to SMIRKS strings or saved as RXN files for use in other programs. The optical structure recognition tools allows one to copy an image into MedChem Designer. T_PSA – topological polar surface area, as defined by P. Ertl, et al. The figure on the right shows a few anti-depressants and their computed properties. Below are a couple examples of editing the geometry of the molecule. Exporting in Excel format is also discussed. The torsion bond rotation tool will “flip” a torsional bond. Either side of the bond can be be moved. A red line will appear on the bond that is being modified. The portion of the molecule on the same side of the red line will be relocated. The cleanup tool will modify bond lengths and angles of a selected portion of the molecule or the whole molecule. This can be used to maintain the geometry of the scaffold. The clean up tool only affects the highlighted atoms. 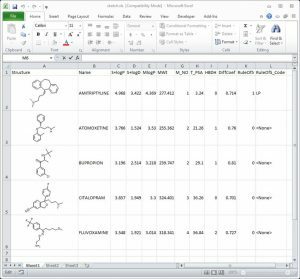 Structures and property data in MedChem Designer can be exported in Excel format. The figure below shows the exported file displayed in Excel. You can sketch chemical reactions in MedChem Designer and map the atoms in the reactant to their corresponding atoms in the product. The reaction can be copied as a SMIRKS string or exported as a RXN file. These formats can then be used in other programs to specify reactions for enumeration. For example, the SMIRKS string can be pasted into MedChem Studio’s “Combinatorial Reaction…” command to enumerate a combinatorial chemistry reaction. The figure below illustrates the Pictet-Spengler reaction in which an ethylbenzylamine reacts with an aldehyde to form a tetrahyrdoisoquinoline (THIQ). The reaction is shown in the top panel. The next panel shows how the reaction mapping tool is used. One simply clicks on a reactant atom and then drags the cursor onto the corresponding atom in the product. The reaction mapping tool is smart! One only needs to map the carbonyl carbon in the aldehyde to its corresponding atom in THIQ and the program maps the rest of the atoms. 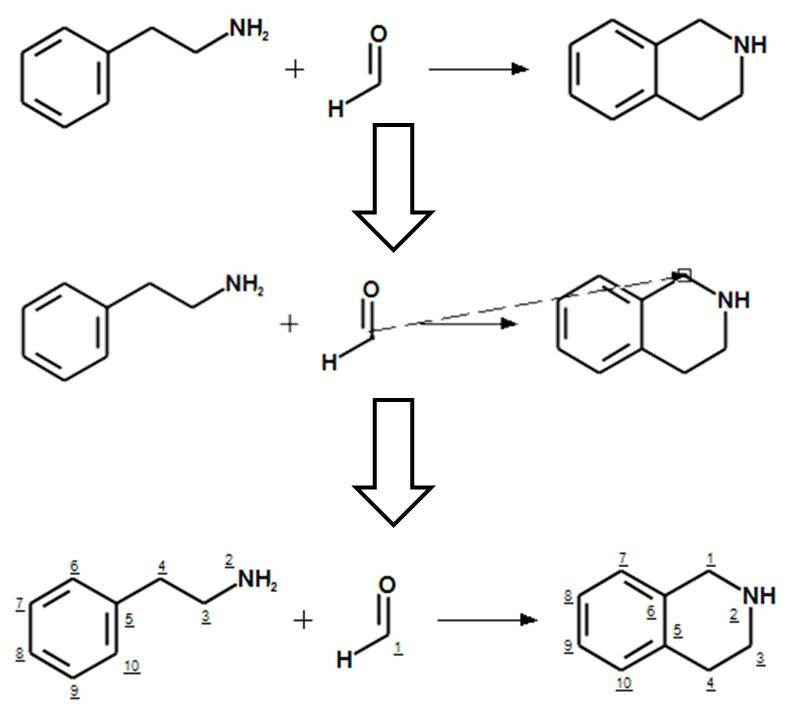 The atom mapping of the whole reaction is shown in the bottom panel. The Optical Structure Recognition (OSR) tool allows you to extract chemical structures from displayed images in journal articles, Word documents, PowerPoint slides, web pages, etc. Simply position the transparent window over the image of interest and click the “Convert Image” button. The chemical structure will be retrieved automatically and displayed in MedChem Designer (note: paid license to ADMET Predictor or MedChem Studio is required). Want to unlock the full potential to MedChem Designer? Predict the full spectrum of our industry leading ADMET properties by requesting an evaluation to ADMET Predictor today.